Pola's first ENGLISH-LANGUAGE BIOGRAPHY Available for Preorder! Back in 2009, an article was published in The Examiner called "Six Silent Film Stars in Need of a Biography." One of the six stars listed in this article was Pola Negri, and we could not have agreed more with their prognosis. Well, we're glad to say that need is finally being filled! Mariusz Kotowski, director of the Pola Negri documentary Pola Negri: Life is a Dream in Cinema, has authored a definitive English-language Pola Negri biography entitled Pola Negri: Hollywood's First Femme Fatale. 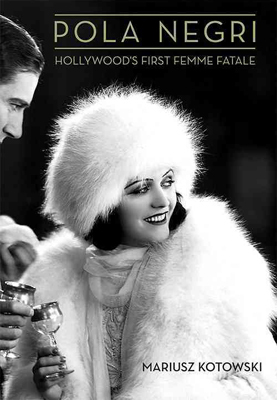 The book is Pola Negri's first English-language biography, and expands on the information in Kotowski's Polish-language only biography Pola Negri: Legenda Hollywood (Prószynski Media, 2011). 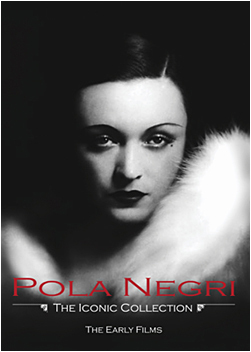 Mariusz has made numerous trips to Poland to scour for Polish-language information on Pola that is unavailable anywhere else, and promises that the book will be a revelation to Pola Negri fans. The book will be published by University of Kentucky Press on April 8, 2014, but is available for preorder now. Preorder Pola Negri: Hollywood's First Femme Fatale from Amazon.com or Overstock.com. Director Mariusz Kotowski's production company Bright Shining City Productions has just released a 3-DVD set of Pola Negri films entitled Pola Negri, The Iconic Collection: The Early Films. Pola Negri: The Iconic Collection features The Polish Dancer (aka Bestia, 1917), Pola Negri's earliest feature film still known to survive; The Yellow Ticket (1918); The Eyes of the Mummy Ma (aka The Eyes of the Mummy, 1918); and Sappho (1921). The set will be of particular interest to Pola Negri fans and silent movie fans in general because two of the films featured on the box set, The Polish Dancer and The Yellow Ticket, have never been released on video before. The Polish Dancer in particular has up to this point only been shown occasionally at screenings, so its release is particluarly welcome. All of the films feature piano scores by composer and arranger Rick Dejonge. Pola Negri: The Iconic Collection is available for purchase at Bright Shining City Productions' online store for $39.99 postpaid. Click here to read our review of the set. 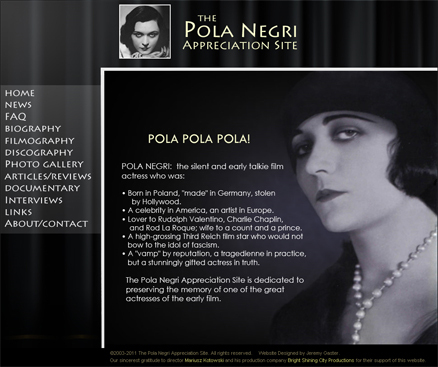 NEW IMPROVED POLA NEGRI SITE! • A brand new Photo Gallery! I've been able to collect enough material to assemble a photo gallery with many beautiful photos of Pola. • Rebuilt and vastly improved Pola Negri Filmography based on recently available new information; the Polish and German Silent periods in particular received a major overhaul. • All new Biography page. In late 2009, the curator ofa Pola Negri screening series that was being held at La Cinémathèque Française in Paris, commissioned me to write a biography for Pola. I wrote a longer version and then cut it down to their specifications; this shortened version was translated into French and used for the promotional materials in their screening series. The long version is reprinted here with some slight improvements. • More illustrations. One of the most frequent requests that I had was for more pictures, so I went back and illustrated many of the original pages with new photographs and many YouTube clips of Pola's movies. • New Interviews section featuring Pola Negri's Final Interview, conducted in May 1987, just three months before her death. • A new review of Pola's German movie Moskau-Shanghai (1936) by Berlin-based journalist and author Frank Noack, which comes complete with a YouTube clip of this rare film. Back in 2009, there was an article that came out in the San Fransicso edition of Examiner.com called "Six Silent Film Stars In Need of a Biography", and Pola Negri was one of the six silent movie stars featured in that article. Well, that day has finally come. On February 24, 2011, the Polish language Pola Negri biography Pola Negri: Legenda Hollywood (Pola Negri: Hollywood Legend) was published in Poland in by the Proszynski Media. The book is authored by filmmaker Mariusz Kotowski, director of the Pola Negri: Life is a Dream in Cinema documentary. 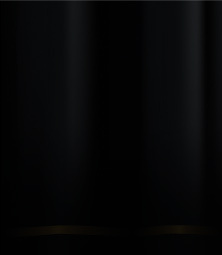 The book's foreword is written by yours truly, David Gasten, webmaster of Polanegri.com. Kotowski promises an English language translation for English-speaking markets soon. 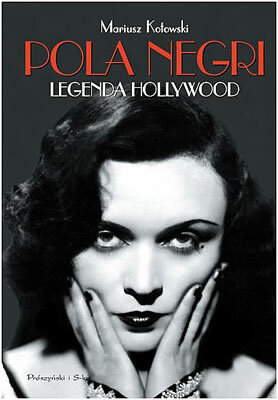 See the Pola Negri biography's page on Proszynski Media's website (in Polish) and this news bulletin about the book's release from Polski Radio (in English) for more information.